The plume of black smoke issuing from the fire in Rendall this morning. 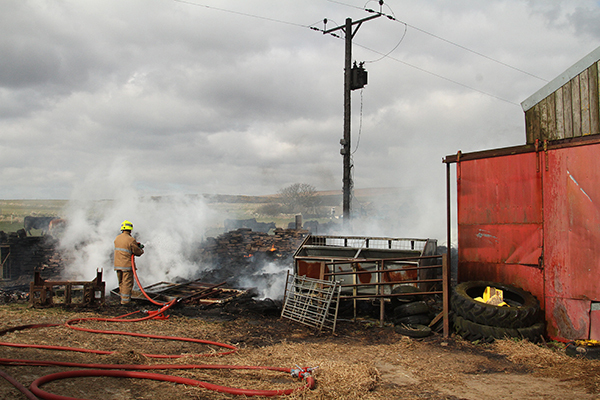 Fire crews are currently attending to a fire at a farm in Rendall, this morning. 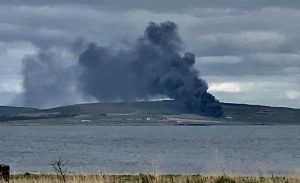 Early reports indicate the fire, which has caused a significant plume of smoke, was caused by a “failed power cable” coming into contact with bales. The Scottish Fire and Rescue Service have said two appliances from Stromness and one from Kirkwall are currently at the scene, at Appietown Farm. SFRS says there are no reports of any casualties. <Previous PostJ. W. Gray & Co.